According to some fresh figures, the latest big update for Windows 10 is rolling out at a very fast pace indeed. The stats from AdDuplex, which keeps an eye on the Windows user base via data collected from Microsoft Store apps, show that the April 2018 Update has been delivered to exactly 50% of Windows 10 PCs in one month flat. That’s actually twice as fast as the previous Fall Creators Update, which took two months to get itself on half of all Windows 10 PCs. And the update before that – the Creators Update released just over a year ago – took no less than three months to reach the same stage of deployment. 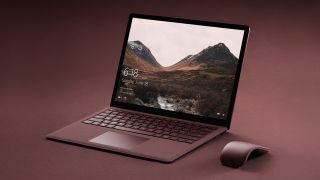 All of which seemingly shows that Microsoft’s efforts to streamline the rollout process are working, although not everything is rosy, of course, given reports of forced updates being pushed out in some cases, not to mention the fair amount of problems we’ve seen with the April 2018 Update. Those bugbears have included problems with Surface devices (of all things) and Alienware laptops, issues with SSDs, antivirus conflicts, and let’s not forget the mystery of the disappearing desktop – among other flaws (check here for our full troubleshooting guide if you have encountered any gremlins). The various blocks that Microsoft has had to instigate to prevent rollout to certain machines, and the work needed to fix these problems, doesn’t appear to have impeded the pace of the rollout, evidently. Interestingly, AdDuplex also shared stats on the percentage of Microsoft’s Surface hybrids which are running the April 2018 Update. These show that around 65% of Surface Pro 4 owners, and over 70% of Surface Book and Surface Pro 3 users, have the new update. All Surface devices have an adoption percentage of well over the 50% global average, as you might expect, except for the three-year-old Surface 3, and rather oddly, the more recently released Surface Laptop, which is stuck on 37% for some reason (which seems strange as it wasn’t one of the aforementioned Surface machines highlighted as having problems).